Fancy escaping the gloomy weather for a barefoot luxury experience in the Maldives? 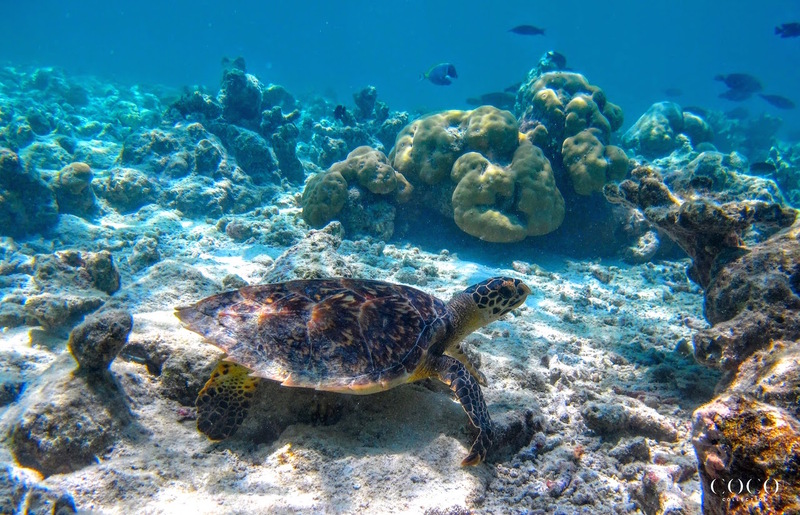 From 1st – 30th September, Coco Collection is inviting you to name one of its newly discovered turtles for a chance to win a seven night stay for two at the environmentally conscious escape, Coco Palm Dhuni Kolhu. Renowned for its rustic and sustainable hospitality, Coco Palm Dhuni Kolhu is actively involved in eco-friendly initiatives to ensure that the precious marine life in the surrounding atoll is protected. This year, the island joined forces with The Olive Ridley Project, with the aim to prevent the entanglement of Olive Ridley Sea Turtles and other marine organisms. Initiated by a group of Marine biologists located within the Maldives, the partnership welcomes the first Olive Ridley Project Turtle Rescue Centre at Coco Palm Dhuni Kolhu. Think of a suitable name for the sea turtle. Since HK 2235 is a juvenile hawksbill turtle, the gender is still unknown, which means the name has to be suitable for both male and female. Once the competition has closed, a panel of Coco Collection judges will then select their favourite/most imaginative entry and the winner will be awarded with a seven night stay for two in a Sunset Beach Villa at Coco Palm Dhuni Kolhu on half-board basis. Good luck with your entry! We are very excited to go through all the suggestions to name this adorable turtle!